When is Amazon going to make the Fire TTS capable?! I have resorted back to my Kindle Keyboard just because of this option! I can listen to a book and crochet at the same time. AND it doesn’t cost an audible monthly membership or an average of $20 for a book as the audible books are. I cannot afford this. Where can I find the free audio books? I was excited by the Fire on KND annoucement but cannot locate the free books. I love my Kindles but am so highly disappointed that the Fire does not have TTS!!!! How can we change this? I’ve left many comments and emails with Amazon hoping they will see how much this option is wanted. Thanks for being in touch, Christine. Amazon hasn’t disclosed anything to us (or anyone else that we know of) about offering Text-to-Speech for the Kindle Fire, so we’re glad that you have an eInk Kindle that reads to you. 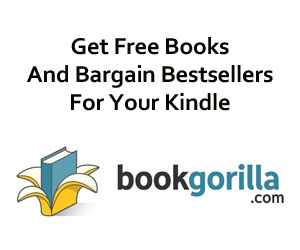 As for the free books, just mouse over the Ebooks item on our menu ribbon above, then mouse down to the Free Books On Kindle menu item to open up the lists of free books. There are thousands, all in categorized, sortable lists, so you’re sure to find something you’ll like if you browse around a bit.